Need to adjust an existing policy? All conditions are considered, with many covered free and can be declared easily and discretely either by using our simple online screening process or by talking with one of our UK agents. NOW Travel Insurance is affordable and flexible, buy online today to immediately be covered for cancellation. Could you save money by buying an annual policy? If you are planning a number of trips over the next 12 months, an annual multi-trip policy could save you time and money, enabling unlimited travel during a 12 month period. Including cover for green fees, golf equipment, golf equipment hire plus hole in one cover. Including cover for winter sports equipment, ski hire, ski pack, piste closure plus avalanche cover. 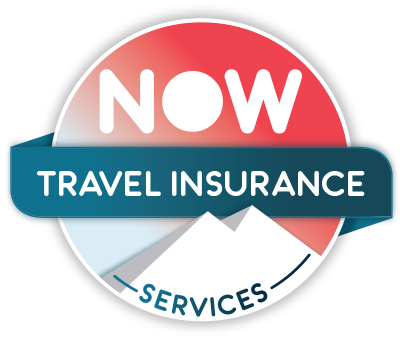 Please note that a NOW Travel Insurance Services policy does not provide cover for any trips to or through Afghanistan, Iran, Liberia, North Korea, Sudan or Syria. Also, no cover is provided for claims arising as a direct result of the situation highlighted by the Foreign and Commonwealth Office where You have travelled to a specific country or to an area where, prior to Your Trip commencing, the Foreign and Commonwealth Office have advised against all (but essential) travel. We have put together a brief guide telling you everything you need to know about Pregnancy Travel Insurance. Questions you should ask yourself before deciding which works out cheaper? Keep your kids safe with our five essential tips and you’ll be fully prepared for some fun in the sun.